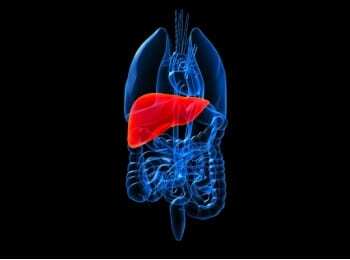 Hepatocellular Carcinoma (HCC) is the fourth most common cancer in the world. More than half a million new cases of this form of liver cancer are reported each year. Excessive alcohol consumption and obesity have long been linked to HCC, but the main cause of the disease is chronic hepatitis B virus (HBV) infection. Not everyone chronically infected with the virus, however, develops HCC. To investigate whether genetic factors play a part in whether an HBV-infected person will go on to develop HCC, researchers analyzed the DNA of several groups of people with Chinese ancestry, as it is known that in China 80% of cases of HCC are linked to chronic HBV infection. Their results, published online this week in the journal Nature Genetics, show a strong link to a genetic variation on chromosome 1. The sample of chronic HBV carriers used to identify the association consisted of 355 people with HCC and 360 without HCC. An additional 1,962 individuals with HCC, 1,430 control subjects, and 159 families, were also studied to confirm the results. Researchers found a genetic association for the condition. The researchers also explored differences in the effect of on HCC rates among HBV carriers of different genders and ages. They found that was more strongly associated with HCC in virus-infected males than females. The variants were found near several genes: KIF1B, UBE4B and PGD. Multiple lines of evidence suggest that one or more of these genes are plausible candidates for HCC susceptibility. Changes in the region of the genome where they are found are commonly seen in many different cancers, including HCC. The KIF1B gene has been shown to be important in preventing some types of tumors, and mutations in this gene are associated with several types of cancer. UBE4B and PGD encode proteins involved in vital cellular processes that often go awry in cancer development.